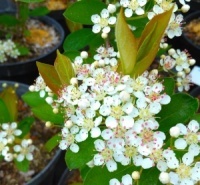 Aronia arbutifolia Brilliant is a selected seed raised form of this reliable shrub. 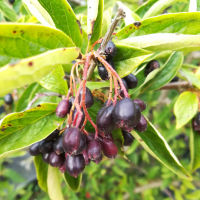 Especially good autumnal foliage colours of reds and orange along with very brilliant bright red fruits. 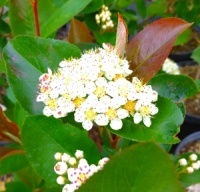 A most striking shrub of good size, masses of white flowersin spring followed by small black berries and vibrant autumn coloured foliage. 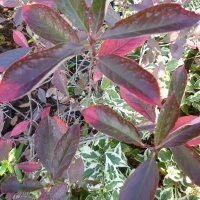 An upright shrub with dark green, glossy leaves that turn deep purple in autumn. 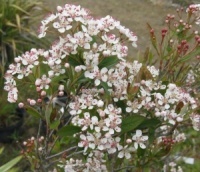 Large clusters of white flowers are followed by attractive purple-black fruits.